It’s January! 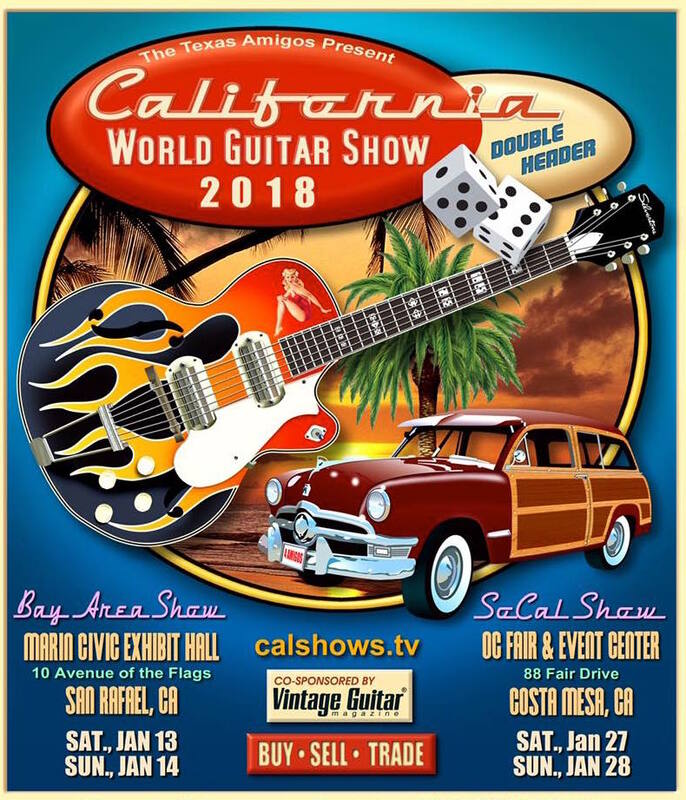 Which means two awesome California Guitar Shows this month. On Sat./Sun. Jan. 13-14, we will be exhibiting at the Bay Area Texas Amigos Vintage Guitar Show in San Rafael. Two weeks later, Jan. 27-28, we will be at the SoCal Costa Mesa Show, just down the road from the NAMM Show. We will have all of our guitar strap models available for sale, as well as our hand-engraved Tele hardware and custom leather pickguards. Come to the shows, check out some cool guitars and amps, and stop by our booth and say “Hi”. We’ll see you in NorCal/SoCal! This entry was posted in Sticky, Upcoming Guitar Shows on January 3, 2018 by Bill Silverman.